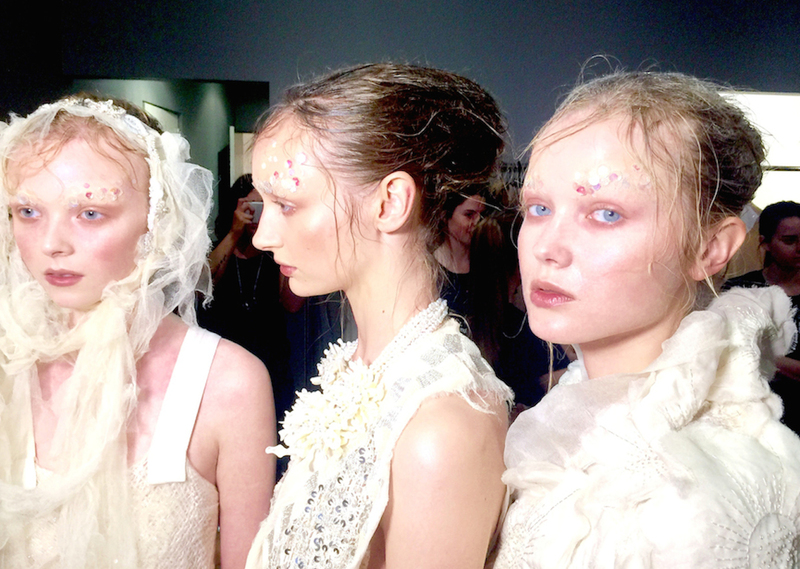 Embrace your inner angel and create two of Travis Balcke’s modern, ethereal looks from Akira’s SS15 show. For Travis’ Angels, it was all about dimension. 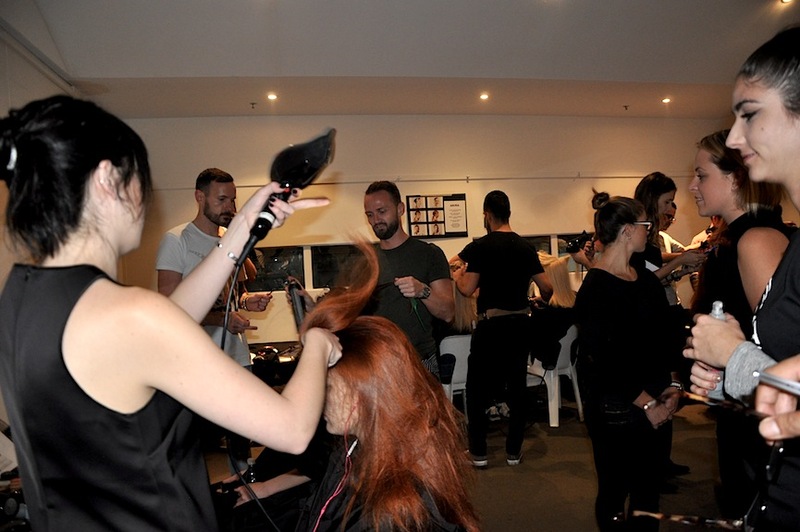 Start by blowdrying Wella Perfect Setting Blowdry Lotion into the hair. 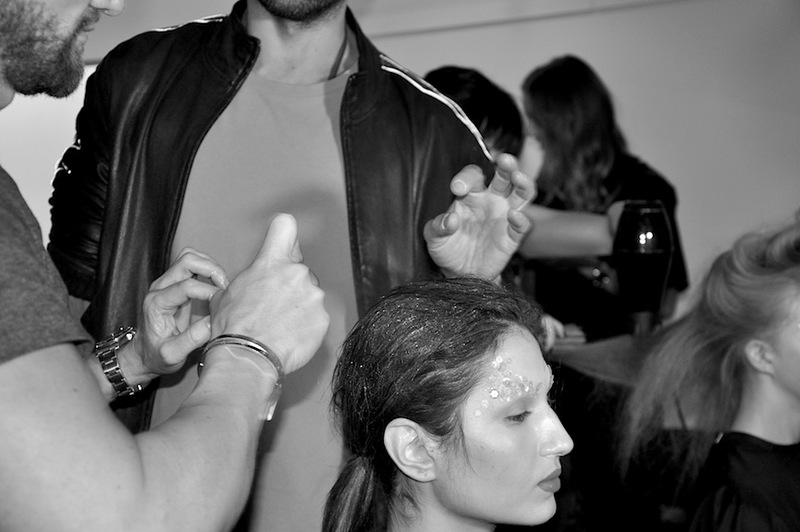 This will give the hair a good foundation for grabbing onto product and staying in place. Next, split the hair horizontally across the middle of the head. Clip the top section to the side for the moment and secure the bottom half into a ponytail in line with your ears. 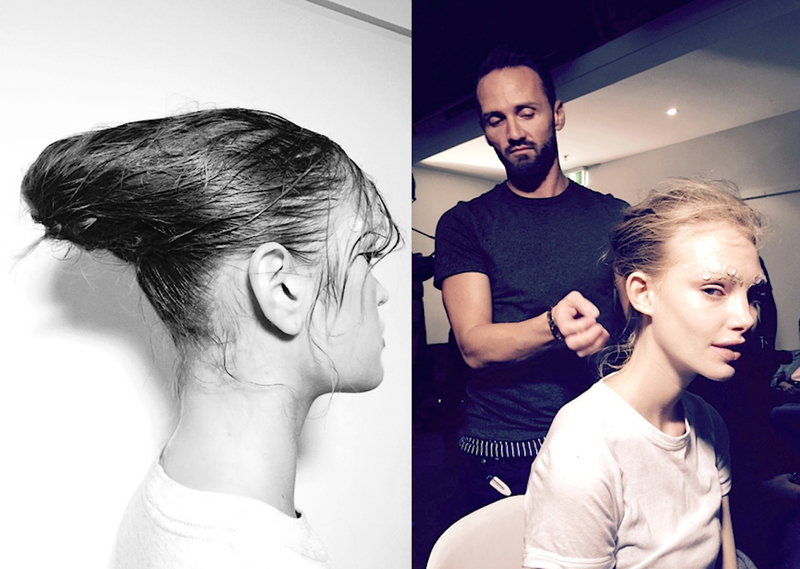 Subtly backcomb the ponytail, spray with Wella Styling Dynamic Fix Hairspray and twist pin into a chignon. 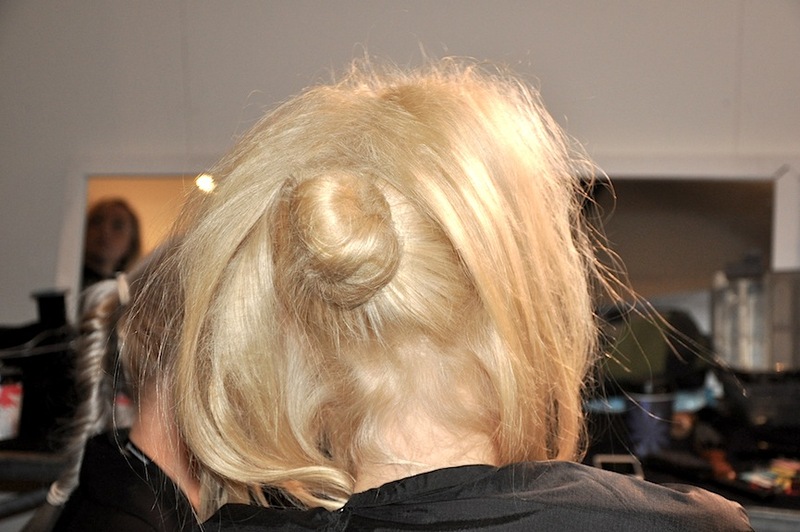 Backcomb the top section of the hair and secure it into a second ponytail, above the chignon. 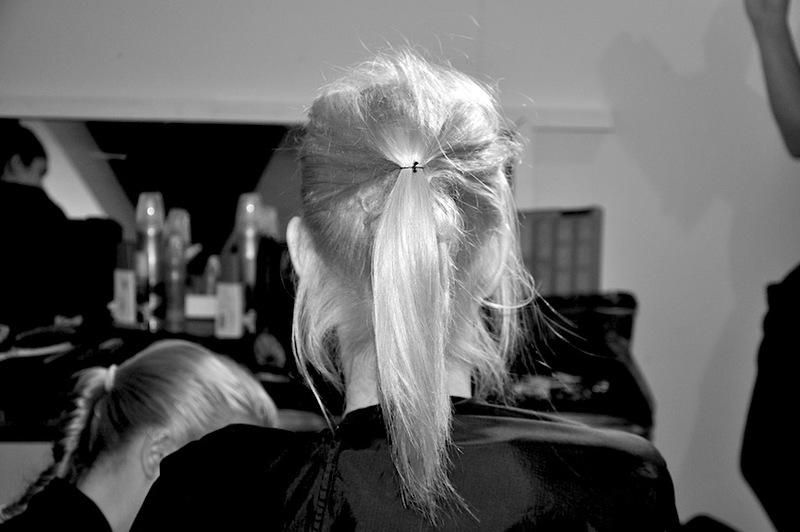 Using your fingers, free up the ponytail, dragging it horizontally over the chignon, so that it it concealed. You should now see the three dimensional, elongated quality of the style coming to life. Tuck and pin the hair so that no ends are visible in the same way you would a french roll, only by wrapping the hair underneath itself. 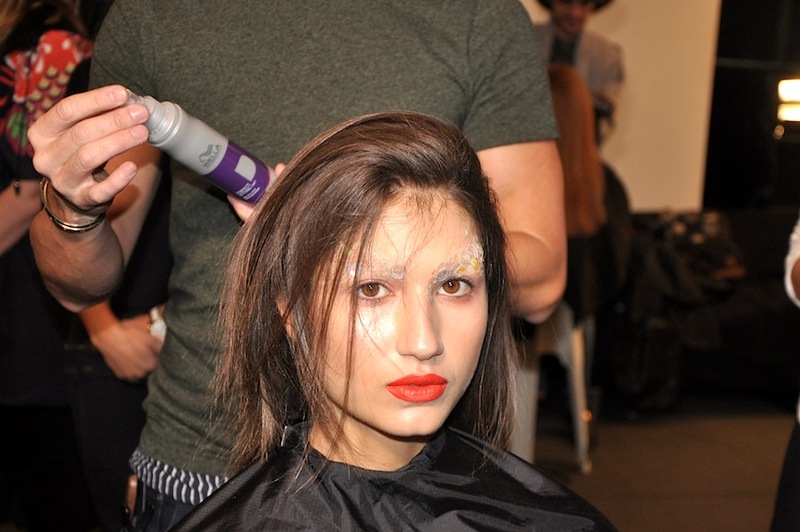 Using a blowdryer, fan gently over the finished style to free up flyaways. Apply a generous amount of Wella Ocean Spritz all over the hair, pressing the flyaways down over and onto the forehead and cheekbones for an added ethereal charm. For Travis’s Athletes, start once again by blowdrying Wella Perfect Setting Blowdry Lotion into the hair. 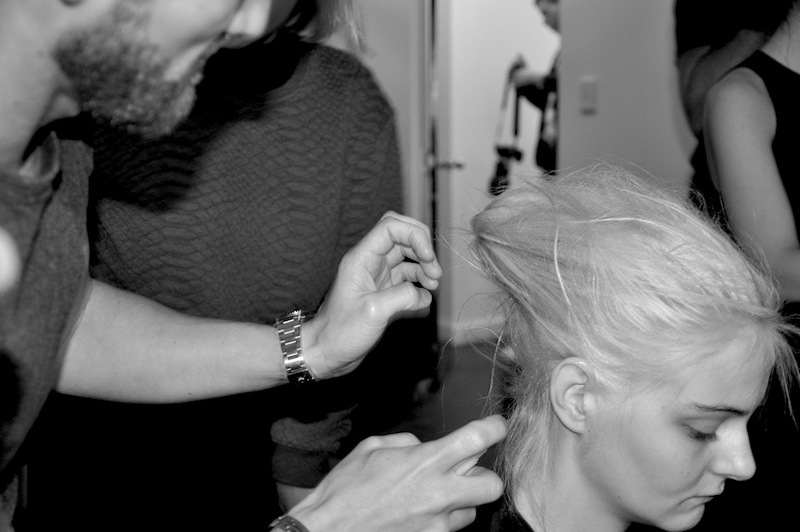 This will give the hair a good foundation for grabbing onto product and staying in place. 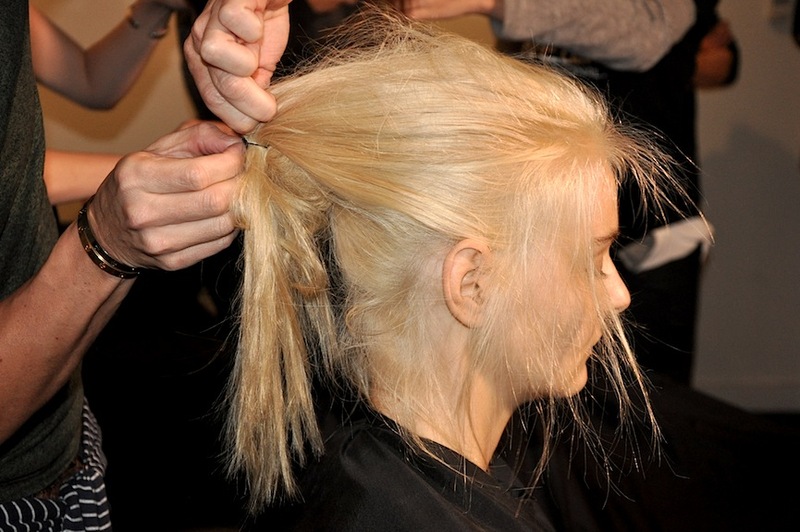 Smooth the ends of the hair with a Cloud Nine Touch and then secure into a low, tight ponytail at bottom of the head. 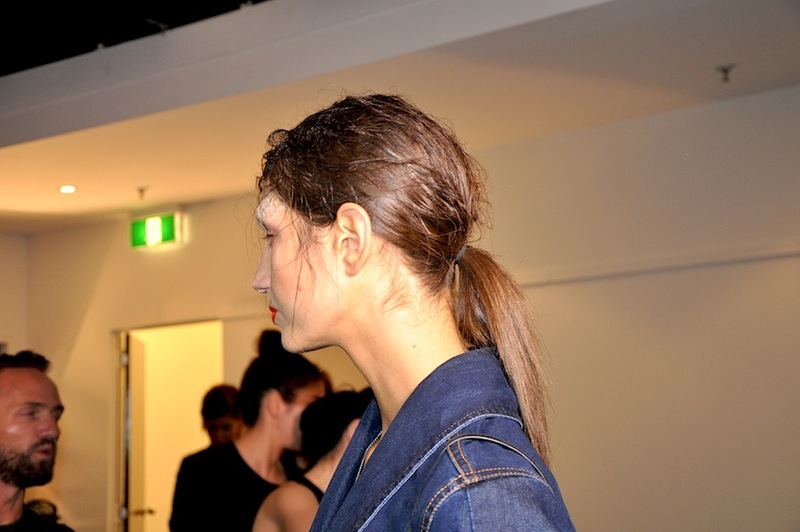 Don’t worry about being too tidy here, any bumps and flyaways give the ponytail character. In the same way as was done for the Angels, apply a generous amount of Wella Ocean Spritz all over the hair, pressing the flyaways down over and onto the forehead and cheekbones for an added ethereal charm.